The saying goes, “You could eat out every day of your life in New York City for the rest of your life and never eat at the same place twice.” I suspect you’d have to double, triple, quadruple that number of daily visits if you wanted to shop every day at a new retailer in New York City. Recent changes in the uptown retail landscape got me wondering if uptown Manhattan was losing its luxe, thinking about the recent closing of uptown luxury retail institutions, like Henri Bendel, Lord & Taylor and Ralph Lauren Polo store, and the increasing number of retail vacancies on Madison Avenue. Add to that the fact that Tiffany feels the need to remodel its iconic 5th Avenue flagship and the report that Chanel is closing its New York City headquarters. On Chanel, a company spokesperson assured me that the rumor it was abandoning New York City are not just greatly exaggerated but false. It is simply moving core corporate roles and about 50 positions, in legal, finance, HR and CSR, to the U.K. as part of an overall “simplification” strategy. Chanel remains very much rooted in New York City, having bought its flagship retail location since 1993 at on East 57th Street this past June. The New York borough of Manhattan is richer and more populated than ever, but a growing number of businesses are closing their doors under pressure of exorbitant rents and online commerce. Sensing a bigger trend emerging, I reached out to a network of luxury retail experts to get the lay of the land of the luxury retail market in Manhattan. Here are the signposts I discovered on that journey. Martin Shanker of Shanker Inc., who founded his sales and leadership training company more than 20 years ago after a career with Macy’s and counts many of the major luxury brands as clients, says the examples above don’t add up to a bigger trend, rather each of these are individual company decisions that have more to do with corporate goals than changing consumer shopping patterns. Greg Furman, founder and chairman of the Luxury Marketing Council, concurs. “The recent domino chain of store closings and proliferation of ‘for rent’ signs on Madison and Fifth Avenues does not signal the demise of luxury or of Manhattan as a global center,” he says. Yet Furman feels these are a wakeup signal of bigger changes taking place in the luxury consumer mindset. “It calls on luxury brands to re-invent themselves with the utmost creativity and passion in ways yet to be imagined. The best luxury brands are seriously rethinking this challenge,” he adds. In the case of the venerable Henri Bendel closing, Lorre White, “The Luxury Guru” at White Light Consulting, believes it all comes down to management failure. Mass-market L Brands was a poor corporate parent for a luxury retailer like Henri Bendel. “There is no larger cause of failure in the luxury sector than inappropriate marketing and by that I mean mass marketing. I fear L Brands is filled with mass-marketing minds and they focus on what they can understand. My experience is that mass marketers do not even know what they don’t know,” White says. A major change coming to luxury uptown will be the opening next year of Nordstrom’s women’s store at 57th Street and Broadway, to join its men’s store across the street, and downtown the opening of Hudson Yards spanning 10th and 12th Avenues from West 30th to West 34th Streets, which will be home to the first Neiman Marcus store in New York. “The bigger story is the Eastside/Westside divide. Up until now Bloomingdales, Saks, Bergdorf and Barney’s have been consider Eastside. 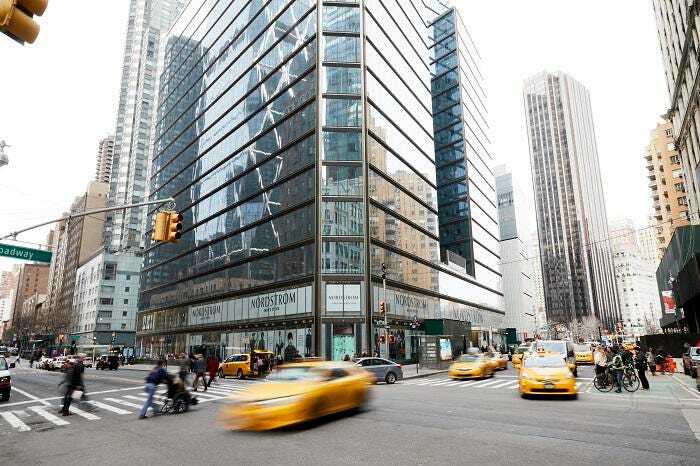 The first real test of luxury on the Westside will be Nordstrom and Hudson Yards,” Shanker believes. While the luxury experts I polled may disagree on the uptown luxury landscape, none dispute that there is a vibrancy downtown that uptown seems to lack. There is a growing sense of stagnation or lethargy in the uptown luxury landscape. Massimiliano Di Battista, CEO of Management + Artists that represents artists and producers in photography, creative direction, styling and beauty, describes it as boredom. “Consumers are bored by traditional stores and do not feel the connection to big uptown stores that they perceive as catering to an older generation and excessive consumerism” he shares. Uptown stores have become luxury institutions and so are institutional and going into them makes a shopper feel institutionalized, as Ken Nisch, chairman of JGA, a retail design firm, sees it. Downtown luxury doesn’t have any of those connotations. “There has always been a divide between uptown and downtown luxury,” says Ruth Bernstein, CEO and cofounder of Yard NYC, a creative agency named an AdAge’s Small Agency of the Year award winner in 2018. “That’s nothing new and it’s not going anywhere. The new era of luxury in NYC is that the number of players has increased dramatically. A brand doesn’t have to have a 100-year heritage (or lease) to be considered luxury. New luxury understands it’s not about hallowed halls,” she continues. Those uptown luxury temples, institutions and hallowed halls spoken of stand in stark contrast to the openness and welcoming atmosphere found downtown. Uptown is all locked up. Downtown opens the door. “There has always been a divide between uptown and downtown luxury,” says Ruth Bernstein, CEO and cofounder of Yard NYC. Rather than defining luxury by exclusivity as uptown brands are want to do, or all the other traditional hallmarks posited as defining that class, downtown luxury is more elusive, less quantifiable and open to rapidly evolving interpretations. To conclude this tour of luxury uptown and downtown, the biggest challenge and opportunity for luxury retail is taking it to the street, as in streetwear and street life. “Today what is happening on the street level is now influencing what is happening on the runway,” Highsnobiety’s Carvalho says, which is the opposite of how traditional luxury brands have thought and operated. On luxury retail, Shanker says, “Today is one of the most exciting times for NYC retail.” Traub’s Singer agrees, “I am very bullish about retail. It is a creative industry.” And downtown is where that creativity, of which luxury brands have no lack of, flows most freely. In other words, uptown luxury brands play classical music, with virtuosity but melodies heard before, and downtown it’s rock ‘n roll. I say, along with The Who, “Long live rock!